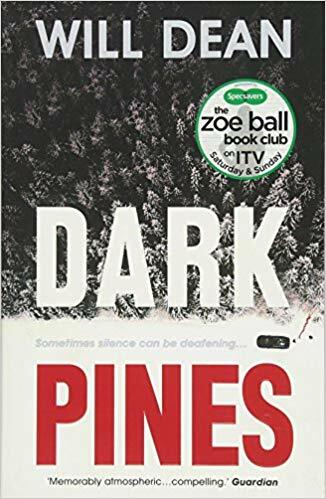 When the eyeless bodies of two local hunters are discovered in the vast forest of Swedish town Gavrik, it falls upon deaf journalist Tuva Moodyson to write a report for the local newspaper. With startling similarities to the Medusa killings of 20-years earlier, Tuva unearths long-hidden secrets within the community and must confront her own fears in her quest to bring the killer to justice. 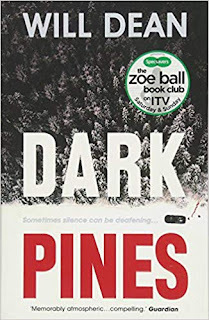 I really enjoyed Dark Pines and thought it was a great start to this new crime-thriller series set in Sweden. Tuva is a charismatic female protagonist who is both strong and independent, yet struggling with certain aspects of her personal life. Her mother is in the final throes of a terminal illness and Tuva has returned to Gavrik from the UK despite their somewhat strained relationship. The bleak Swedish winter landscape sets the scene nicely and it's this that creates a tension-filled, suspenseful atmosphere. The author's descriptions of the wilderness and its wildlife were a pleasure to read. I was completely immersed and gripped by this intelligent and skillfully plotted novel. 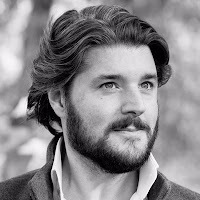 The second book in this series, Red Snow, is due to be published later this year and I eagerly await it landing on my bookshelf. Eyes missing, two bodies lie deep in the forest near a remote Swedish town. Will Dean grew up in the East Midlands, living in nine different villages before the age of eighteen. After studying law at the LSE, and working many varied jobs in London, he settled in rural Sweden with his wife. He built a wooden house in a boggy forest clearing and it's from this base that he compulsively reads and writes.